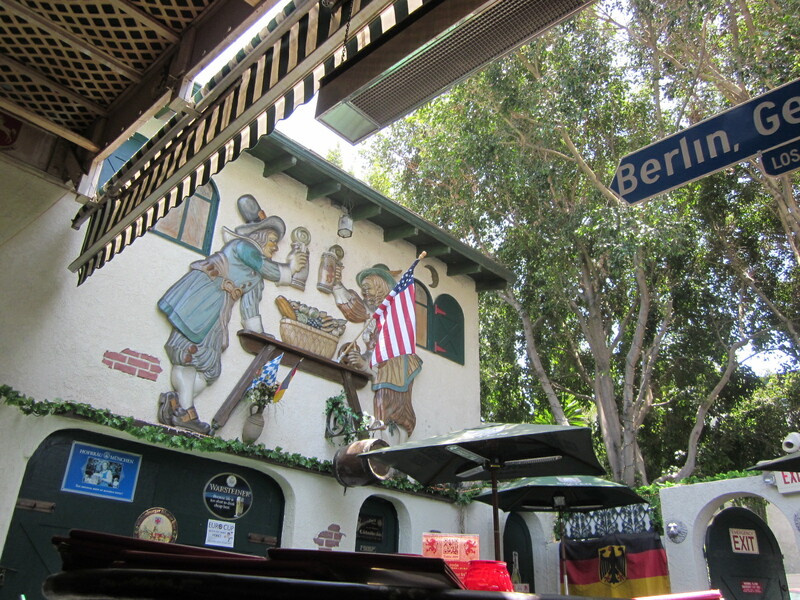 The Red Lion Tavern has been a neighborhood tavern in Los Angeles for over 50 years and continues to serve as an L.A. landmark for traditional German food, a wide selection of German beer, and cozy Old World atmosphere. I am sitting in the world famous Los Angeles traffic on an early Thursday afternoon and it is everything I have dreamed of! Atlanta has horrific traffic at several key times of the day, but LA just has one time: always. I love it! Eliza Moneypenny tells me that I am getting quite close. Soon, I am on a steep main street with hardly any traffic at all. I am heading for a place that has had me intrigued ever since I decided to take this trip. 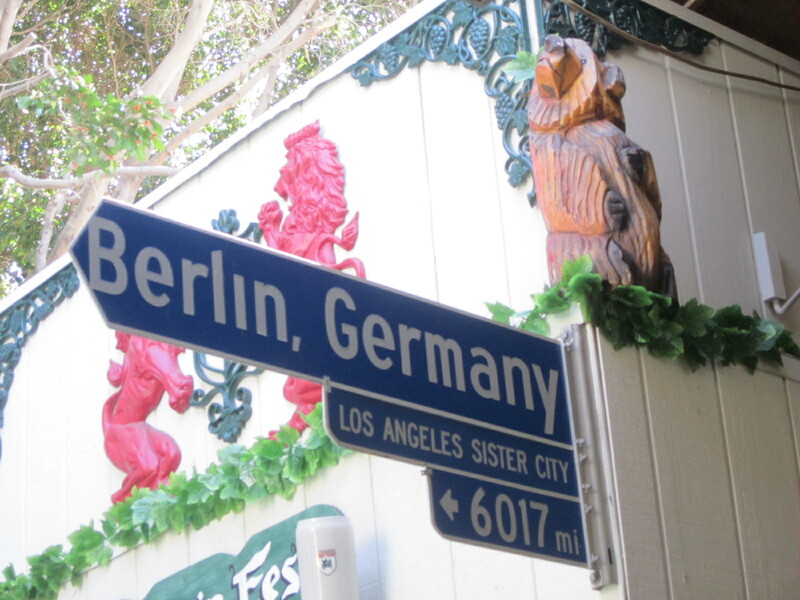 It showed up on several of my pre-trip searches to find great beer gardens, but it rarely made much mention of the garden itself. 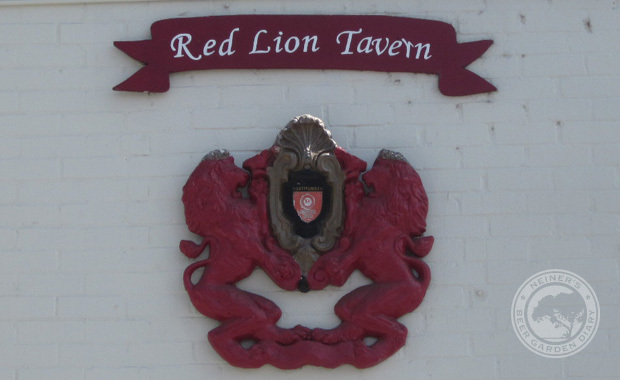 I read that they have been around since the 1950’s but had gradually added on to the tavern over the years. 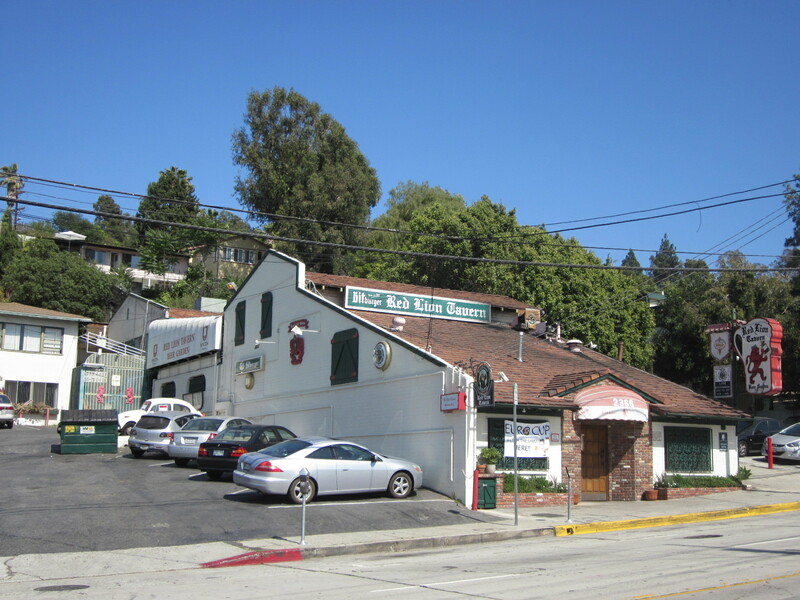 About 15 years ago, they divided their horseshoe shaped parking lot in half and dedicated the center to a beer garden and patio. 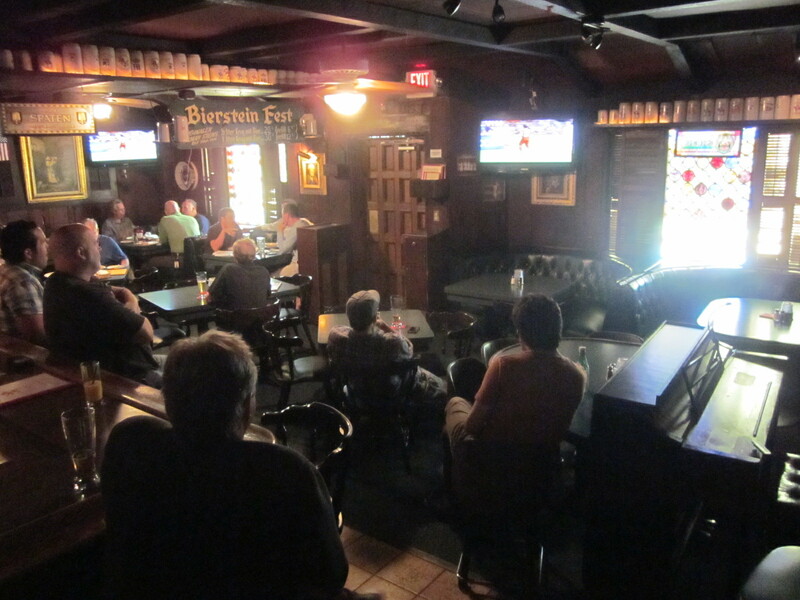 I am interested in seeing how the beer garden has faired since it is relatively young in the history of the place. For once, I have no problem spotting my destination. I pull into the inclined parking lot and grab a spot right up front. The cream colored building sits on the gradient as the angle of the roof runs paralel to the hill. 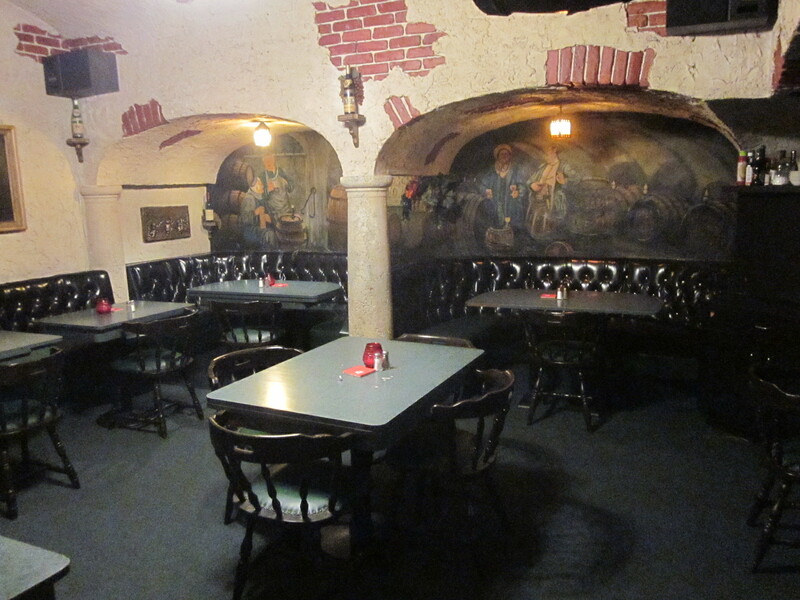 That room on the lower level is the original pub. It is warm and dark with colorful stain glass windows. It is actually a little intimidating because it looks paradoxically like a really nice dive bar where only locals are welcome. Alas, I make my way up the stairs to the garden. 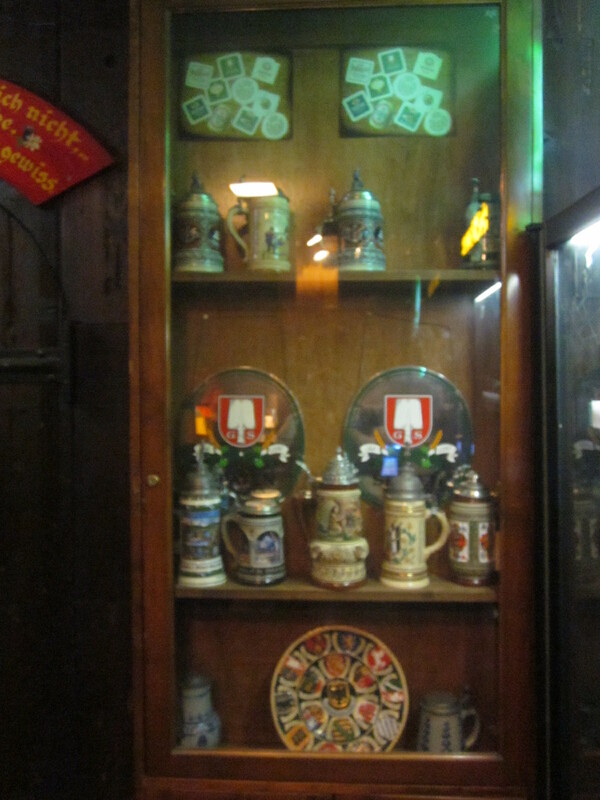 All along the way, the german paraphernalia and enormous steins cover the walls and shelves. There are decades worth of stuff all around. I pass by the bathrooms and there is a door opening to a lattice covered patio and garden. I walk into the outdoors yet under the roof. 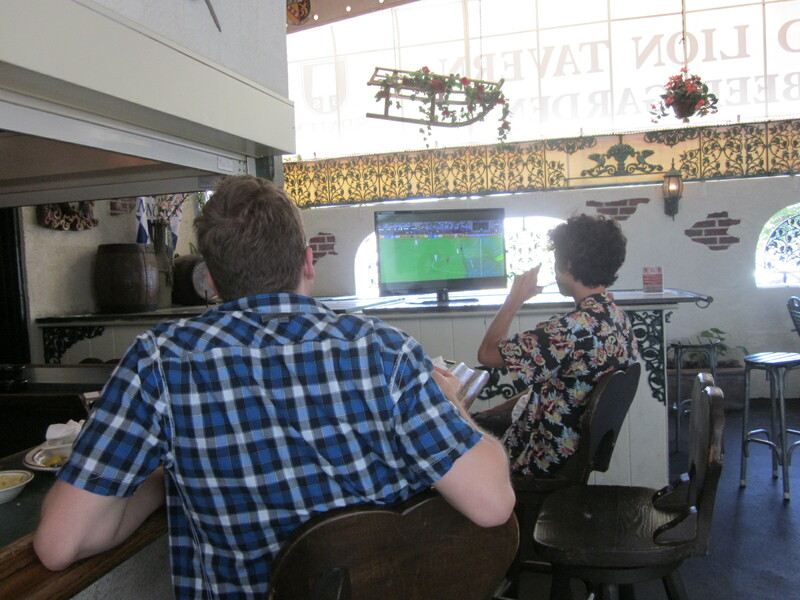 Here, there is another TV playing the soccer match, but there are only a handful of people up here watching. 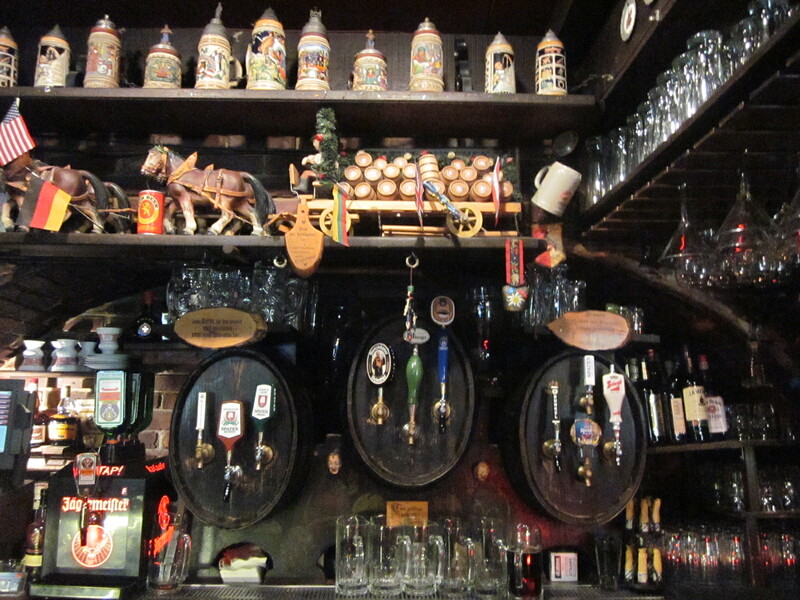 They only serve german brews here, but it’s a good list. I go for a pilsner and a pretzel and sit back in my heart shaped stool to watch some of the ol’ feetball. It is quiet and nice in the shade of the roof under a hanging ceiling fan even though it is roasting outside, and I am magically content. Once the match has concluded and everyone is done groaning about Ronaldo, I get up and take a look around the garden. It is small and cozy. Inside the roof there are flowers, snow sleds and a multicountried flag chandelier hanging from the ceiling. A small fountain with menus strewn about it lays between the covering and the exposed region. Out in the open portion, there are several tables with umbrellas. 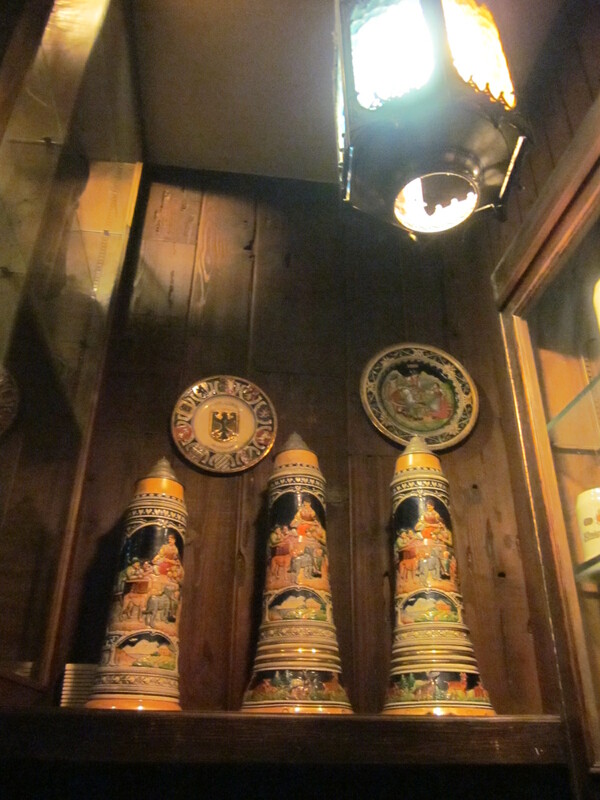 On the wall there are 2 huge flat wooden figures of bavarian drinkers that clank steins above you. Three huge shade trees loom above from just outside the entrance gate. As I finish my pilsner, I ask the bartender if there is a GM or an owner available today. She says that the owners don’t come around very often, but the manager may be around. He comes out and greets me cheerfully. We talk for a bit and then he takes me on a tour. We start at the bottom level, where I had originally come in, but the crowd has since cleared out after the game. 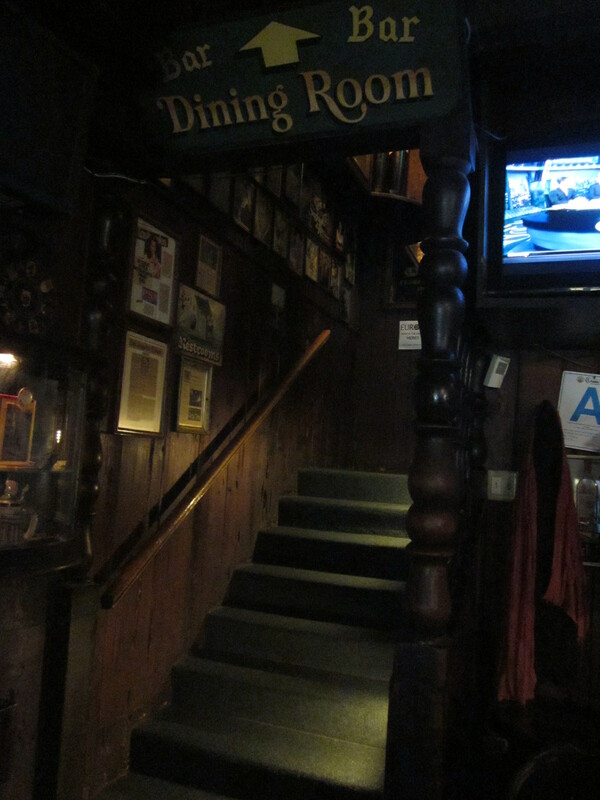 It is where the regulars come and have been coming for over 60 years. Regulars tend to steer clear of the garden upstairs. 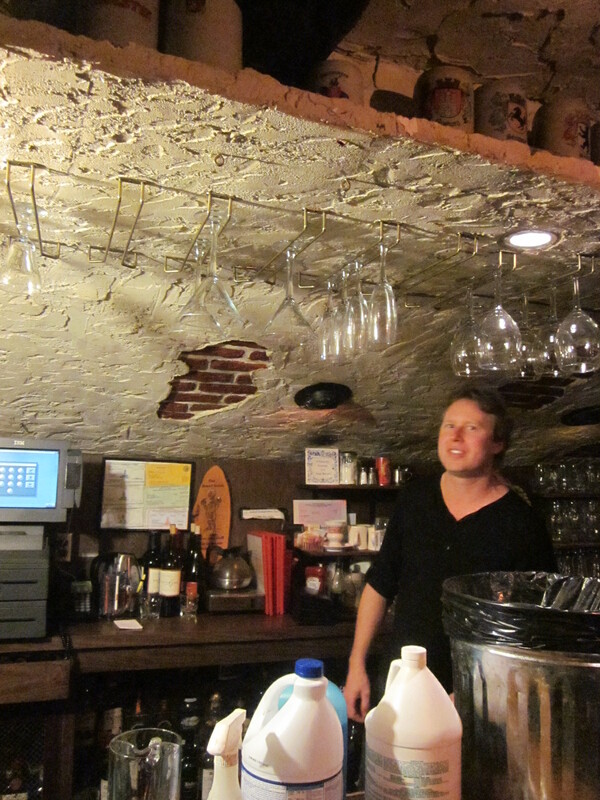 There is a small piano bar and the bar features a piano player every night. I love how chummy and comfortable it feels down here, despite my earlier intimidations. Next we work our way to the second level, which I had been completely blinded to. 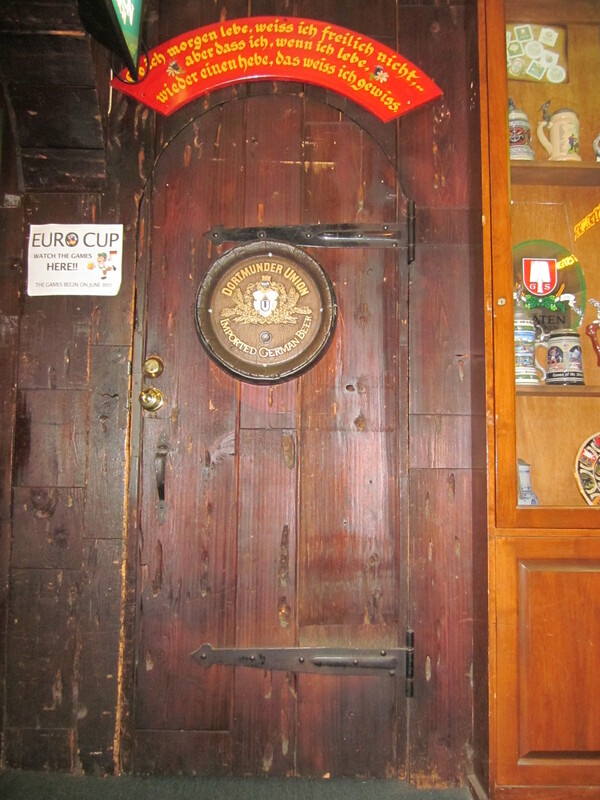 There is great little door that opens up to another small bar room. Attached to that is a nice little dining room. Apparently the downstairs and second level may be haunted. I don’t believe in hauntings in my logical brain, but my illogical brain still gets totally freaked out by any of those stories. 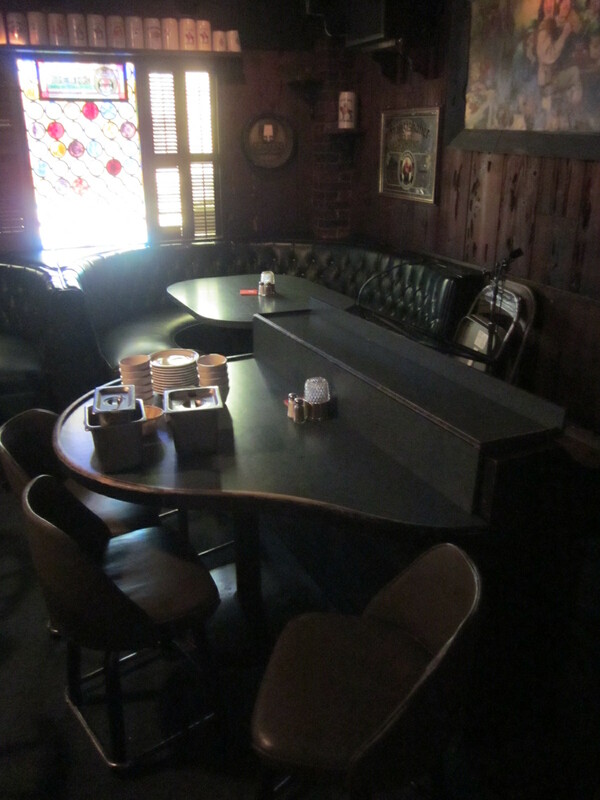 In the end, a haunted bar is way cooler than a non-haunted bar any day. 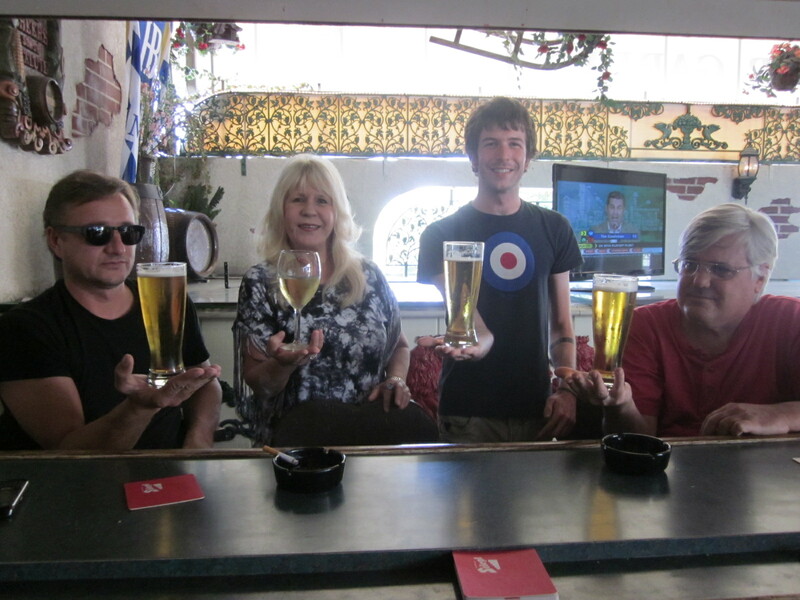 We make our way back to the garden and we talk with some of the regulars about what a true beer garden is. Some of them feel like the Tavern is a beer garden, while others don’t. 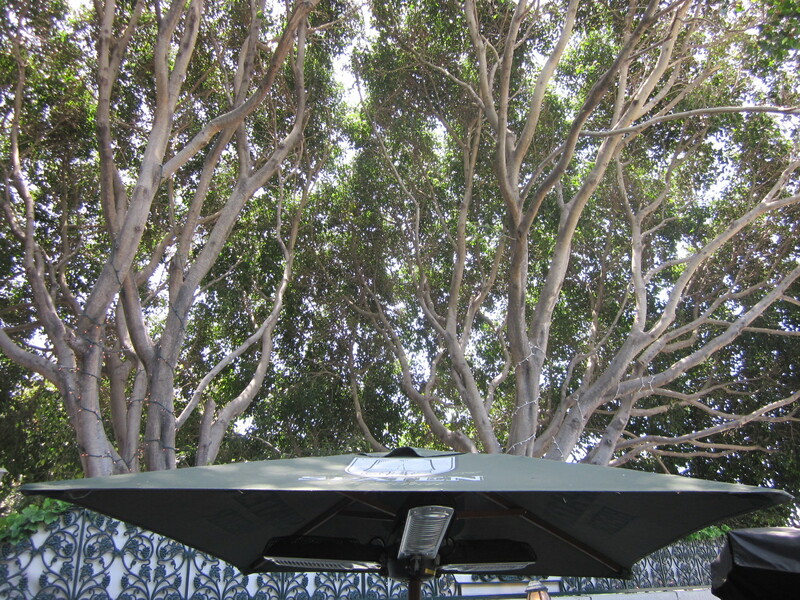 Does a beer garden need trees? Gravel? Picnic tables? Only beer? What then? I don’t really know where I fall honestly. There is a great patio and garden area, but the entirety of the establishment is focusing on the indoor space more than anything. The combination is done extremely well though. 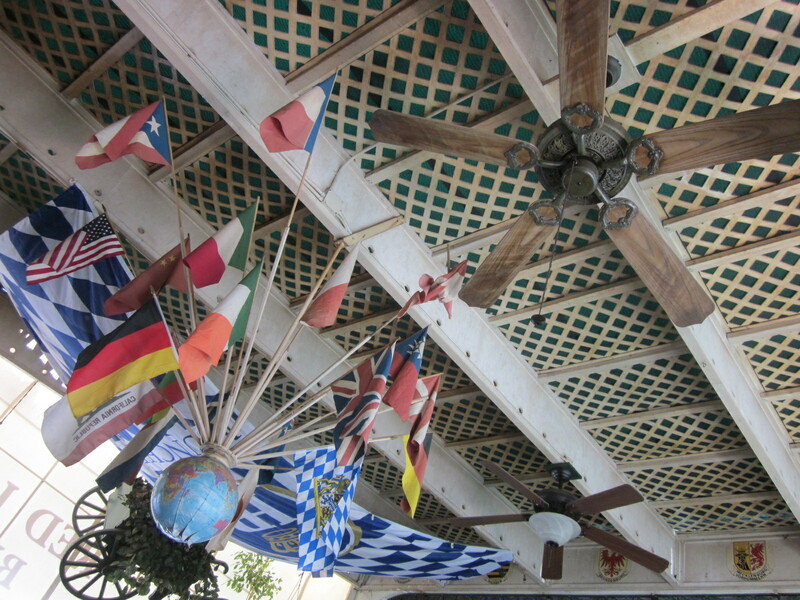 Obviously I love beer gardens, but this place features one of my favorite indoor bars as well! It is the superb example of a place that can cater to multiple very different demographics and succeed on both grounds amazingly well. 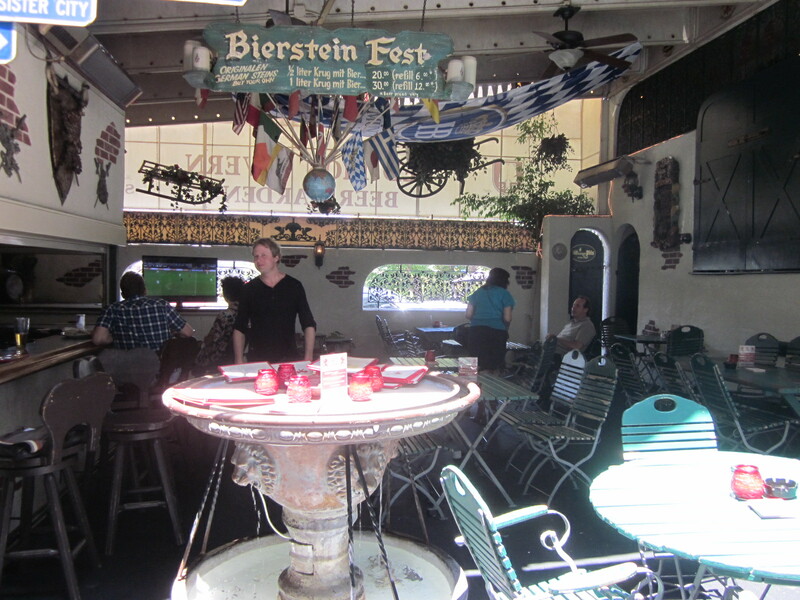 Ultimately, I am impressed with this improvised beer garden that sits on top of a fantastic historic tavern.